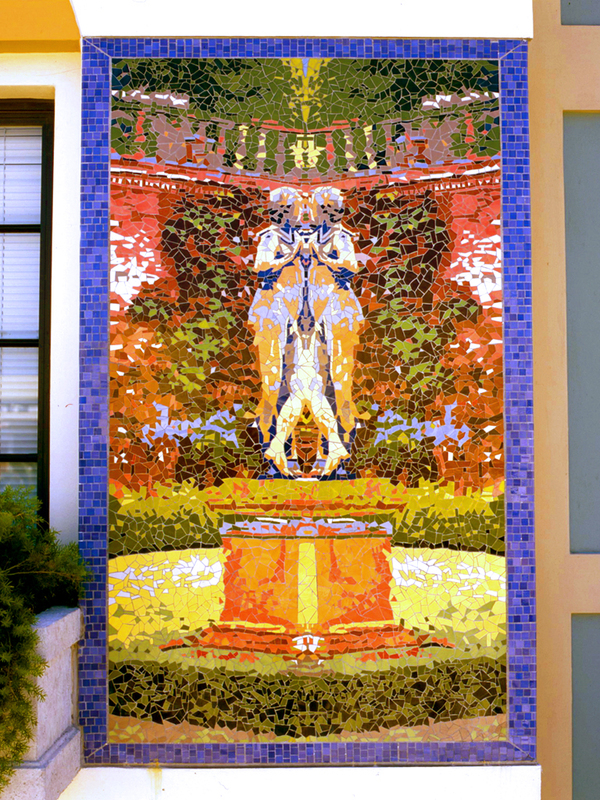 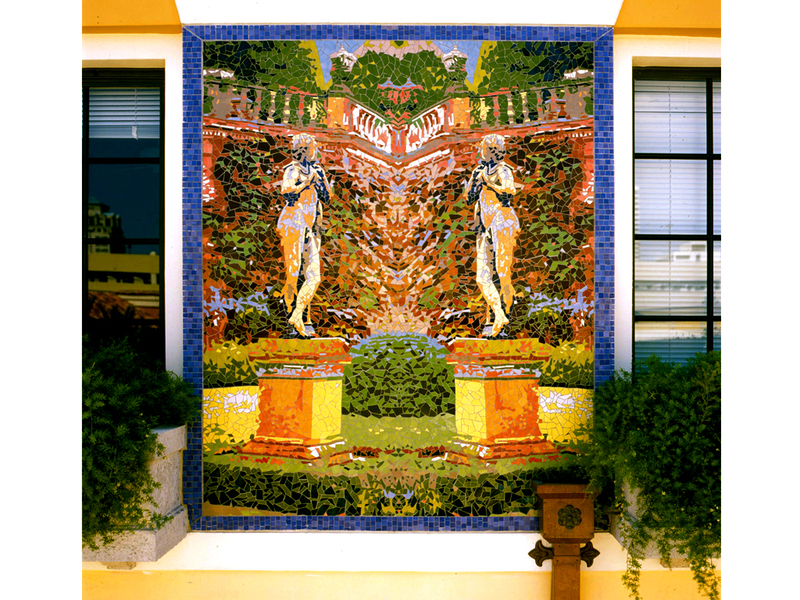 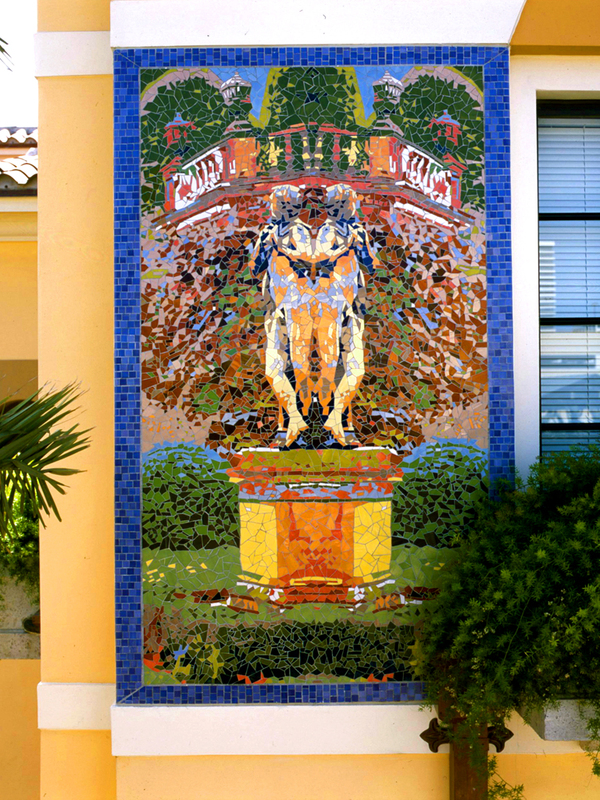 Designed using a combination of painting and computer manipulation, statuary and flora are mirrored to create abstracted passages. 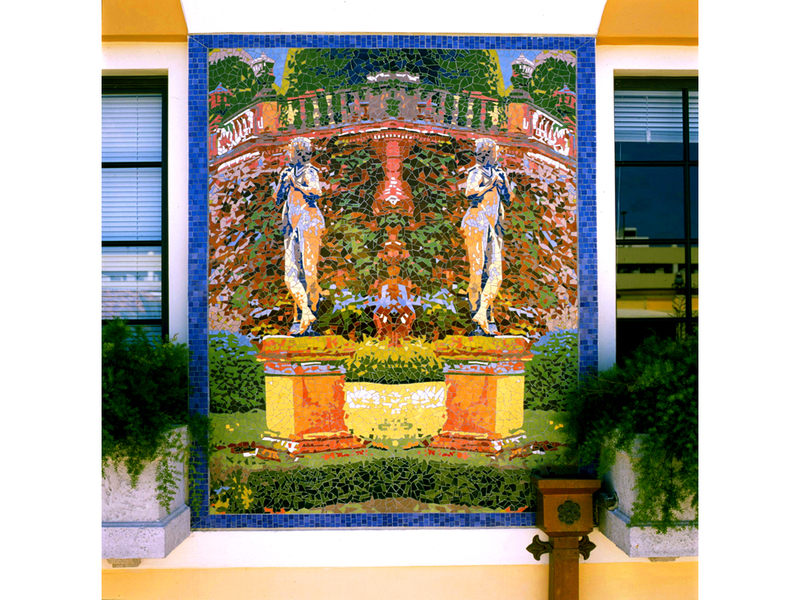 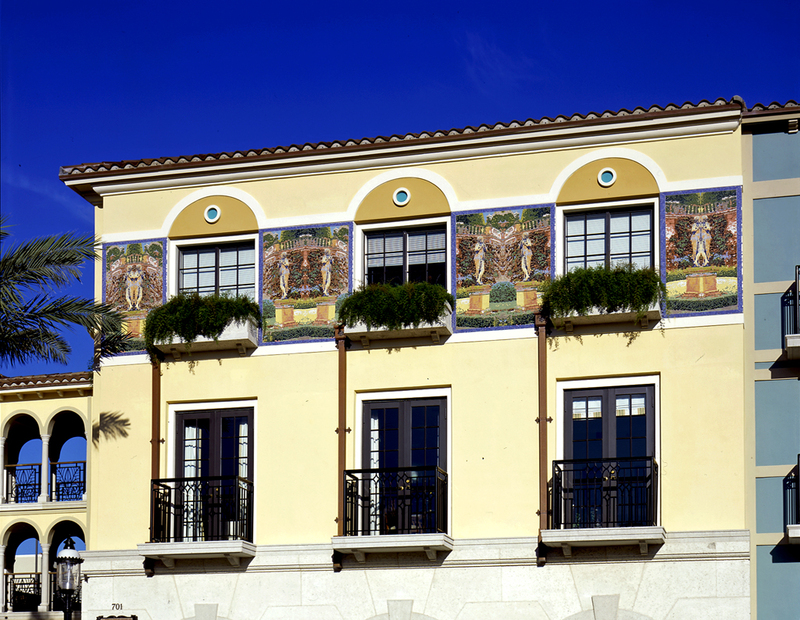 A contemporary take on the mosaic facades of Venice, the artwork blends with CityPlace’s Mediterranean architectural plan. 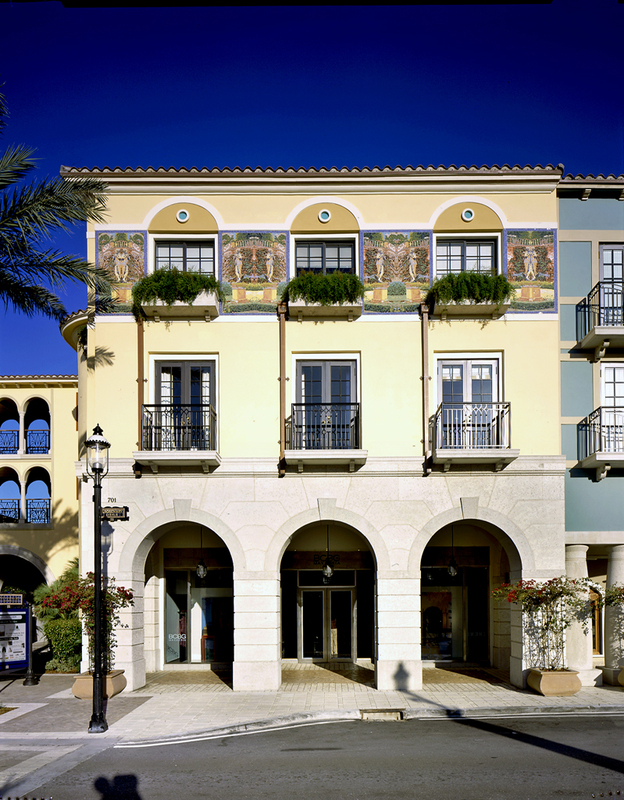 Palladium at CityPlace is 55-acre development in Downtown West Palm Beach featuring a mix of specialty retailers, condominiums and office space.